Gatenby Locksmiths Hull are a long standing locksmith company serving customers in Hull, Hornsea, Beverley and East Yorkshire. With over 20 years experience in the industry you can be assured that Gatenby Locksmiths can offer a solution to your lock problems. Gatenby Locksmiths Hull is a family run company and we guarantee that when you call you will speak directly to a highly experienced local locksmith and not just somebody in an out of town call centre! We are available to give advice and respond to emergency calls 24 hours a day 365 days a year and we cover the whole of Hull, Hornsea, Beverley, East Yorkshire and the surrounding areas. We understand that there are many distressing situations which would result in the need to call out a locksmith and as a result we aim to get to all emergency call outs within 1 hour so we can get your lock problems resolved as quickly as possible. We have full public liability insurance for your piece of mind and we also offer a full 12 months guarantee with all parts we supply and fit. Local Locksmiths In Beverley, Hornsea And Hull. 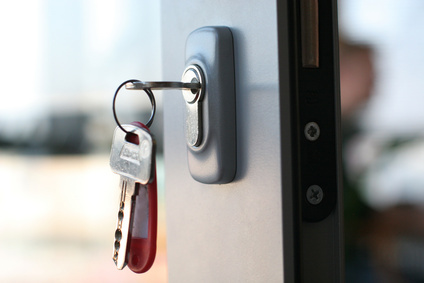 Why Choose Gatenby Locksmiths Over the competition? We are one of the most highly experienced and competitively priced locksmiths in Hull Hornsea Beverley and East Yorkshire. Unlike a lot of other locksmiths in the East Yorkshire area we never charge a call out Fee or VAT which makes us the ideal choice of locksmith in your area. We have literally thousands of satisfied customers who choose to come back to us time and time again, including landlords. estate agents, letting agents ect. 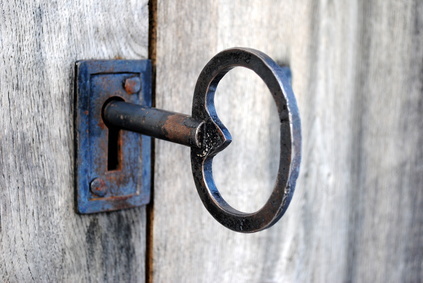 Mortise locks are generally found on wooden doors. Gatenby Locksmiths Hull can supply and fit any make of mortise lock so no matter how old or new you mortise lock in Hull is we can always offer a solution to our customers. We can change mortise locks like for like with the same make and model or upgrade them to a higher security level if your current lock is either obsolete or does not pass the current standards for home insurance. All mortise locks can be opened by Gatenby Locksmiths Hull if you either have a faulty lock which wont open with the key or in the event that keys have been misplaced. Again it doesn't matter how old or new the lock is we can help. As one of the leading Upvc door locksmiths in Hull and East Yorkshire we can undertake all Upvc door lock work from a cylinder change to a complete new locking mechanism. We are able to supply, fit service and repair all makes and models of Upvc and composite door multi point locking mechanisms. We can work on any type of multi point lock new or old. If the multi point lock you have installed is obsolete we can can adapt your door to suit a more modern style of locking mechanism which is a job that not all locksmiths will undertake. At Gatenby Locksmiths Hull we also offer a PVC and composite door re alignment service. Its very common for a PVC or composite door to become difficult to lock when the door and frame become miss aligned. If left in this state for a longtime it can lead to a complete mechanism failure. Because a re alignment will usually not involve any parts its far more cost effective to have the door re aligned when you spot the first signs which is usually when the door becomes increasingly difficult to lock. One of the biggest break in techniques used by burglars is to exploit a big flaw in PVC and composite door locks. The standard locks that are used in these types of door have been around for a few decades but over the past few years more and more homes are been targeted by snapping the old style locks as a method of gaining entry. There are now new locks on the market called anti snap locks that are specially designed to fight against this type of entry method. There are various different lock manufactures that have designed new locks to stop this type of break in and all have different credentials and different ways of approaching the problem. We have are own favourites that we keep in stock which have been tested by us and have proved a huge security increase over the standard types but we can supply and fit any brand that you like. Gatenby Locksmiths Beverley can fit one particular model of lock that comes with a £1000 guarantee against this break in technique and we believe this is the most secure euro lock available in today's market. Please feel free to contact us for anti snap lock advise. Got a problem with a window lock? We offer a full window lock installation and repair service in Hull, Hornsea and Beverley. We can supply and fit new window handles if your old window handles are worn, outdated or faulty. We can also open window handles non destructively as well with no damage to the window or lock if keys have been lost. Gatenby Locksmiths hull can also offer a window mechanism service as well. We can supply and fit new window lock mechanisms and repair faulty mechanisms alongside window re alignments and the opening of jammed and faulty windows . Gatenby Locksmiths Hull are constantly keeping up to date with new locks being fitted across Hull, Hornsea and Beverley. This is so important for various reasons. We need to keep up to date with new products as locks and locksmiths tools are evolving all the time. We spend hours and hours practising our lock picking techniques on new and old models of locks to ensure theirs never a time that we are beaten by your security. We invest heavily in the most up to date equipment to ensure we are always ready to tackle any job that is thrown at us with ease. Alongside keeping up to date with opening methods for locks in Hull, Hornsea and Beverley we are also constantly keeping an eye on new security products that are released. We often get hold of new products, taking them apart to learn every little detail about them, which puts us in a much better position when it comes to advise our Hull customers on there home or business security. We believe that constantly keeping ourselves up to date is what puts us ahead of the competition and builds massively on our already impressive 20 years experience. Call Mr Gatenby Today Your Local Friendly Locksmith!